It's with great sadness that the ASC must report the passing of the Society's most senior member, Gerald Hirschfeld, who was invited to join the organization in 1951. He died on February 13 at the age of 95. Born April 25, 1921, in New York City, Hirschfeld was an avid moviegoer as a boy and developed an interest in photography. Self-taught, he began to learn his craft. 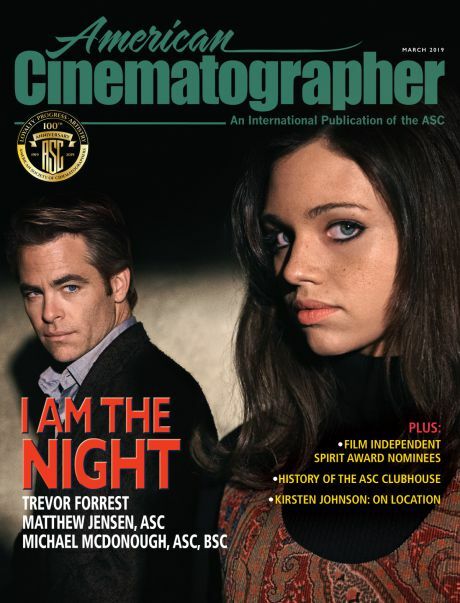 "There were no film schools in those days, so I was always looking for new [photography] books, new information," he told American Cinematographer in 2007. 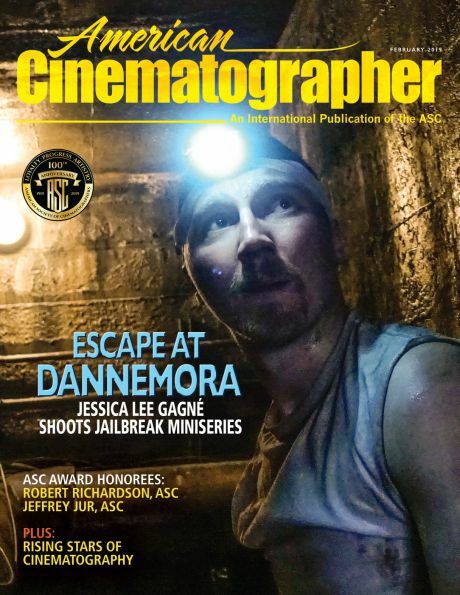 "By going to the movies, I gradually learned the styles of all the top Hollywood cameramen." Hirschfeld joined the U.S. Army at the age of 19. Serving at the Signal Corps Photographic Center during World War II, he was an assistant and operator for established Hollywood cinematographers including ASC members Leo Tover and Stanley Cortez. He later shot numerous training films, also doing process photography. "I entered the service as a still photographer and came out a cinematographer," Hirschfeld said. After he was discharged, Tover became his mentor and helped him become established as a freelance cinematographer. On the island of Okinawa, Hirschfeld (on left) with his comrades Claude Binyon and Bill Birch pose with a pair of Eyemos in 1945 while serving the the U.S. Army Signal Corps during World War II. Hirschfeld in a shot taken during his Army days. Hirschfeld checks his light while shooting the whimsical TV series Johnny Jupiter in the early 1950s. In 1949, Hirschfeld shot his first feature film, the crime picture C-Man — shot in just 11 days. After a few other feature and TV projects, he began to focus on shooting TV commercials, working at the NYC production house MPO Videotronics. "It was a great training ground because we encountered so many varied situations," he described. And clients were impressed with his work — Hirschfeld soon became the busiest cameraman in New York City, and MPO made him a vice president in the rapidly growing company. There, he oversaw a dozen full-time camera crews and established an admired reputation for being a precise, exacting, perfectionist. Among his crew over the years were future ASC greats Owen Roizman (AC and operator) and Gordon Willis (operator). "Jerry was a perfectionist and relentless on the set and I learned a lot from him," Roizman would later describe. Shooting a commercial for his New York-based firm MPO Videotronics in the early 1960s, Hirschfeld checks his frame. Behind him is operator Sol Roizman. Pulling tape is Tony Brooke. "I was pretty tough, that's true," Hirschfeld noted. 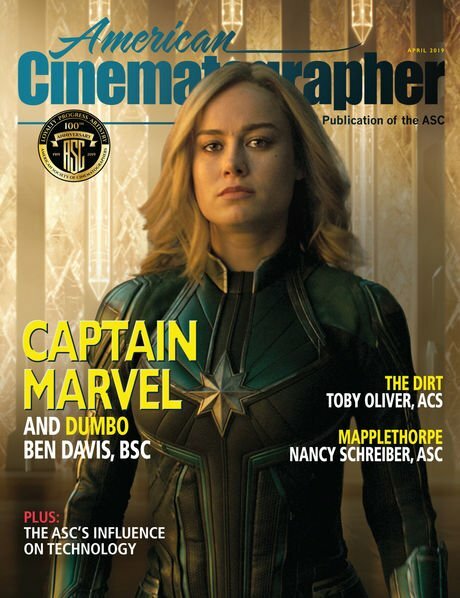 "But it was only because I was always trying to push myself, to learn a be a better cinematographer, and I expected the same work ethic from everyone around me." Hirschfeld's reputation led to his first major feature assignment, shooting the Cold War drama Fail-Safe (1964) for director Sidney Lumet. Director Sidney Lumet makes a point while Hirschfeld checks his frame during the filming the Cold War drama Fail Safe (1964). At right is 1st AC Owen Roizman. Hirschfeld angles into the cockpit of a B-52 bomber while filming Fail Safe. Peeking in on his left is AC Owen Roizman. While he continued to work at MPO on high-end commercials, Hirschfeld would go on to shoot some 40 feature films, including The Incident (1967), Goodbye Columbus (1969), Cotton Comes to Harlem (1970), Diary of a Mad Housewife (1970), Young Frankenstein (1974), Two Minute Warning (1976), The World's Greatest Lover (1977), The Bell Jar (1979), Neighbors (1981), My Favorite Year (1982) and To Be or Not to Be (1986). Hirschfeld is at the camera while shooting the romantic comedy Goodbye Columbus (1969). Shooting Young Frankenstein (1974), director Mel Brooks angles the camera on actor Peter Boyle as Hirschfeld (on ladder, at right) confers with his crew. Shooting a famously funny scene from Young Frankenstein (1974) Hirschfeld is flanked by actors Peter Boyle and Gene Hackman. Hirschfeld (left) mixes it up with Young Frankenstein writer-director Mel Brooks. A natural educator, Hirschfeld penned numerous stories for American Cinematographer magazine over the years, carefully detailing his work in various productions, and later wrote the in-depth instructionals Image Control: Motion Picture and Video Camera Filters and Lab Techniques for the ASC Press and The Hand Exposure Meter Book (with co-author Bob Shell). In 2004, Hirschfeld was honored with a Lifetime Achievement Award from the Ashland Independent Film Festival, recognizing his 60 years of filmmaking experience. Hirschfeld in his later years. In 2007, Hirschfeld was honored with the Presidents Award during the 21st annual ASC Outstanding Achievement Awards ceremony, for his contributions to advancing the art and craft of filmmaking. "I deeply appreciate this honor," he said. 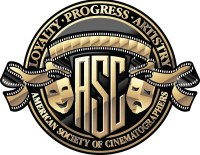 "I also appreciate everything the ASC has done for me over the years." Hirschfeld is survived by his wife, Julia Tucker, and his sons Marc, Eric, Burt and Alec (the latter of which also became a respected operator and director of photography). He also has six grandchildren. There is no further information about services at this time.